Infrastructure-as-a-Service (IaaS) enables organizations to improve productivity, strengthen security, enhance system speed, reduce operating costs, and provide more time to work on other, value adding projects (Oracle). It’s not surprising then, that research suggests 94% of workloads and compute instances will be processed in the cloud by 2021 (Cisco). While IaaS providers have removed the burden of managing the hardware and network aspects of a data center, there is still plenty of tasks that are left in the hands of IT organizations. 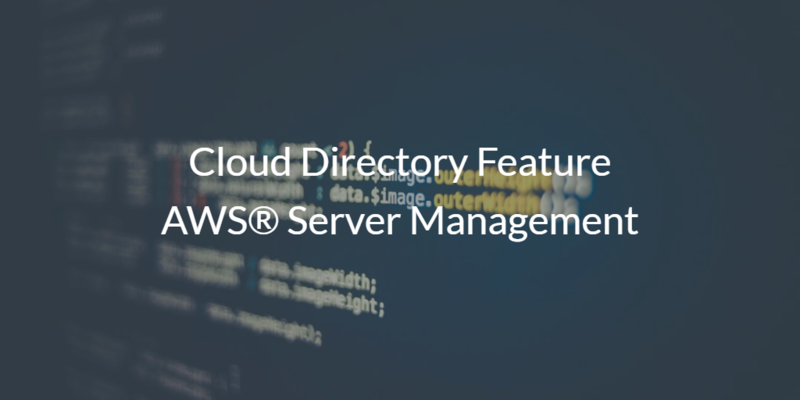 With AWS® having a 62% market share over the IaaS space, many IT admins have a need for the cloud directory feature AWS server management. 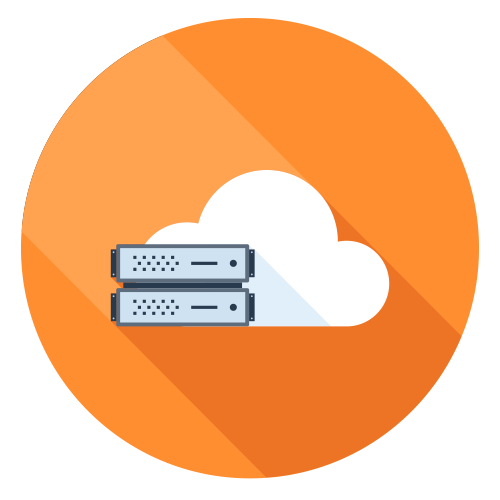 Let’s take a look at the server management tasks that are left for IT organizations, and why a cloud directory feature for AWS server management can help. Data centers in the cloud have eliminated many time consuming tasks, but the reality is that even with somebody else’s infrastructure, you still have to manage certain components. For example, AWS is quite explicit that they will manage the infrastructure – network and hardware – but you are responsible for managing the operating system (OS), your applications, and data. You are also responsible for maintaining the security of your infrastructure. Clearly, there is still plenty that IT admins are responsible for with IaaS, and this is why IT organizations need to have a strategy to manage their AWS servers. That strategy needs to account for tasks like managing who can access the servers, keeping them up-to-date, and maintaining security. The challenge is that server management tools haven’t been keeping up with the cloud era. Historically, when the data center was either on-prem or under IT’s sole control, the infrastructure would likely be managed with tools such as Microsoft® Active Directory®, SCCM®, and others. However, these solutions were created for on-prem environments that leveraged mostly Microsoft hardware and software that were based on Windows®. With the data center moving to cloud providers, IT organizations and DevOps personnel have had to turn to configuration management tools such as Chef, Puppet, Ansible, Salt, and others to manage their cloud servers. The challenge with this approach is that IT admins and DevOps engineers need to write a lot of code in order for the configuration management tools to carry out their designated tasks. Additionally, these tools are often disconnected from the identity management infrastructure. This is a problem because this disconnection makes it easier for shadow IT to form while making it harder to keep track of which users have access to servers. The good news is that there is a new solution for AWS server management that doesn’t require any tedious coding. Instead, IT admins can manage AWS servers by leveraging a simple-to-use graphical interface. This solution is called JumpCloud® Directory-as-a-Service®. JumpCloud Directory-as-a-Service is a cloud identity management platform that tightly integrates with AWS Linux and Windows servers to provide user and system management capabilities. 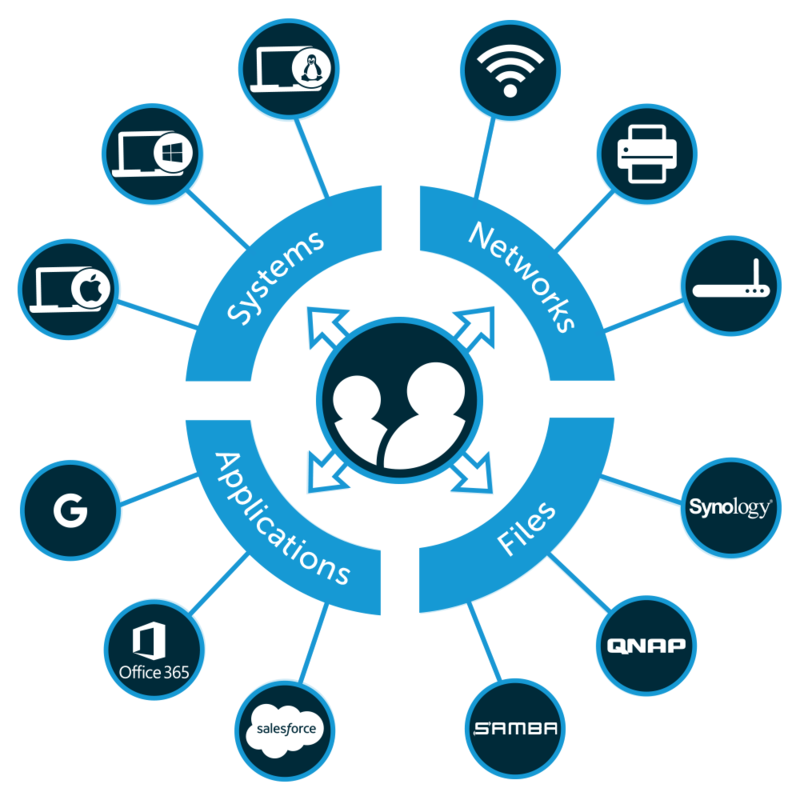 By leveraging JumpCloud, IT admins can centralize user access to virtually all IT resources. As a result, IT admins can provide their users with a single identity that easily grants the user access to systems (Windows, Mac, Linux), local and cloud servers (like those hosted in AWS, GCP, IBM etc. ), LDAP and SAML based applications, physical and virtual file storage, and wired and WiFi networks. JumpCloud doesn’t just cast a wide net though, but also provides deep control over IT resources. For example, when it comes to systems, IT admins can use the GPO-like policy management capabilities to set security policies, execute tasks, and remotely manage their AWS systems. All in all, the cloud directory feature AWS server management enables precision, efficiency, and control. Sign up for a free account and you’ll be able to test the whole platform, and your first ten users are free forever. If you are more interested in talking to someone, drop us a note. We’d be happy to walk you through how JumpCloud can help you with your IT environment.